Born at Scarborough, Ontario on 17 April 1870, he came to Winnipeg in 1905. A member of the United Brotherhood of Carpenters and Joiners, he was a one-time organizer of that union, as well as a founding member of the Socialist Party in Winnipeg. He ran for a seat in the Manitoba Legislature in 1910, 1914, and 1915, being defeated each time. A prominent exponent of Marxism and regarded as one of Canada’s leading soap-box orators, he was highly critical of the Canadian government for its repressive policies toward dissent. One of the leaders of the Winnipeg General Strike of 1919, he was arrested on 17 June, tried on seven counts of seditious conspiracy, found guilty, and sentenced to one year in prison. 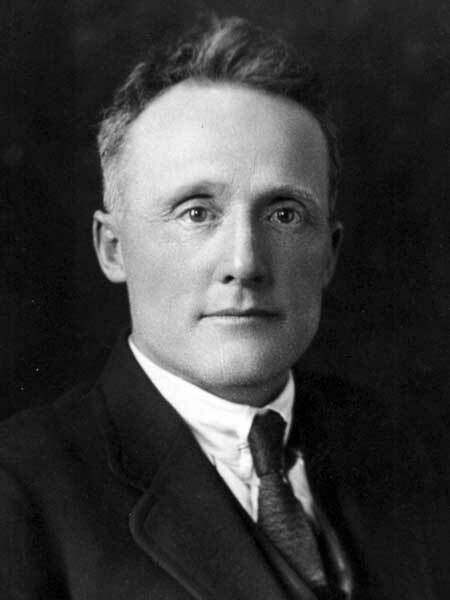 In the 1920 general election, he won a seat in the Manitoba Legislature as a Socialist Party of Canada candidate. He was defeated in 1922 and 1932. He was married to Helen Armstrong. They had four children. He moved to Victoria, British Columbia around 1945, from there going to California. He died while visiting a daughter at Concord, California on 13 February 1956. Profiles in Dissent: The Shaping of Radical Thought in the Canadian West by Harry Gutkin and Mildred Gutkin, 1997, pages 181-192. “1919 strike leader dies in California,” Winnipeg Free Press, 15 February 1956, page 21. Times of Trouble: Labour Quiescence in Winnipeg 1920-1929 by David Edward Hall, MA thesis, University of Manitoba, 1983, page 54.